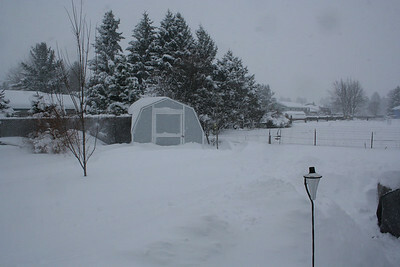 Most of these pictures are from the snow storm we had on Dec 20th. 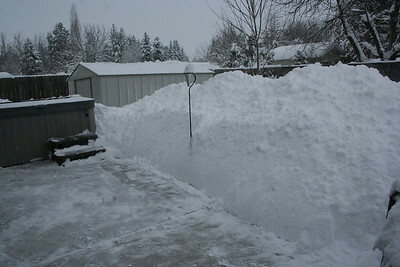 We had a record 36 in. 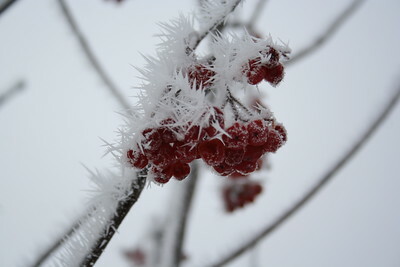 fall in 24 hours. 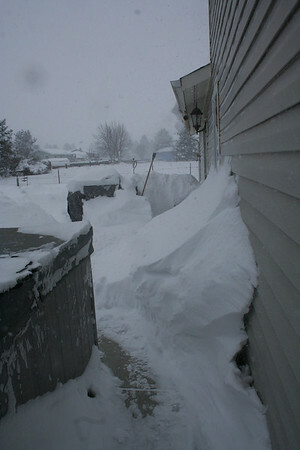 Then it snowed almost every day for a week. 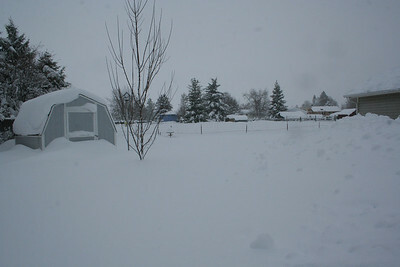 The last big snow was Sat Dec 27th. 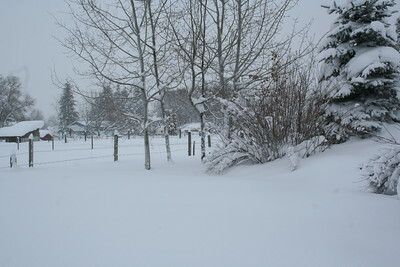 This is what we woke up to on Dec 18th. 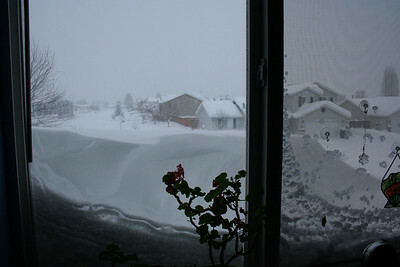 There was a large snow drift so I could not see out my office window very well. 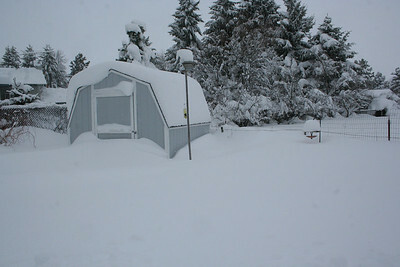 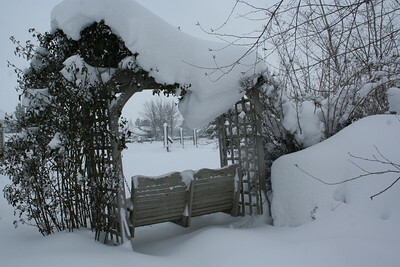 Ths shed is half way covered by a snow drift. 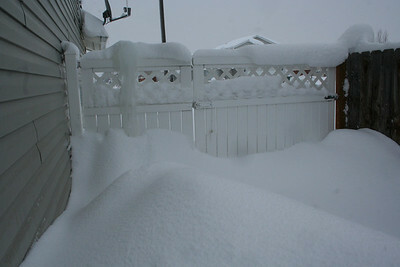 Can't get out of our gate. 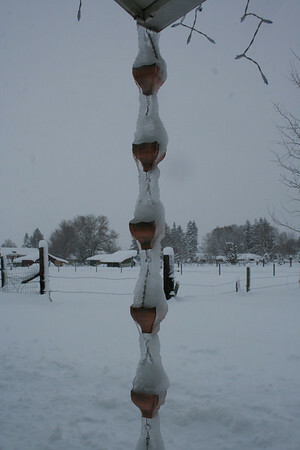 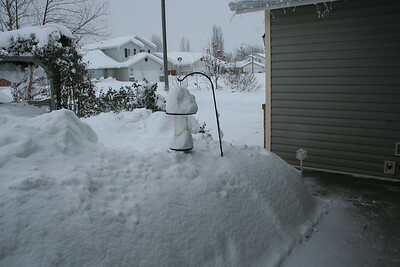 The snow is so high it is almost up to the bird feeder. 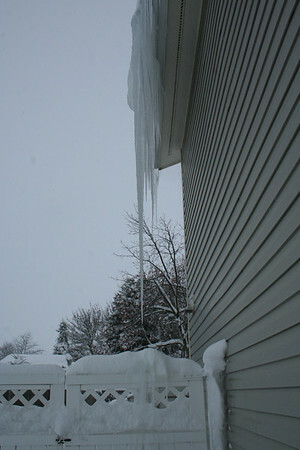 That is one long icecicle. 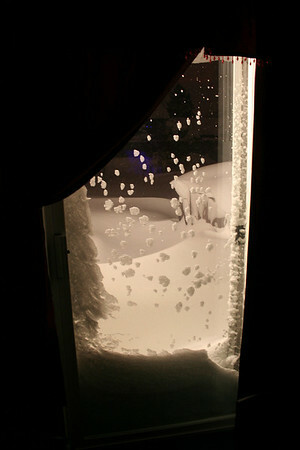 We had so much snow we could not get out the door. 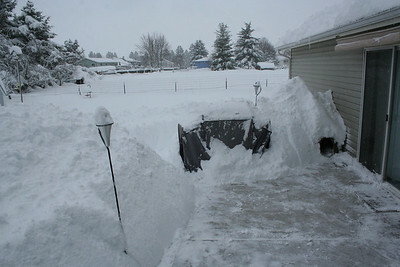 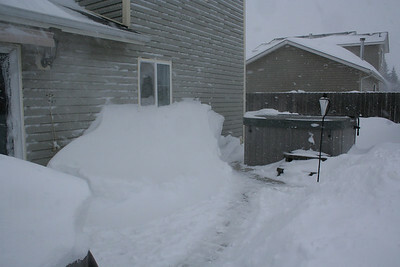 We had a 4 foot snow drift on our back patio. 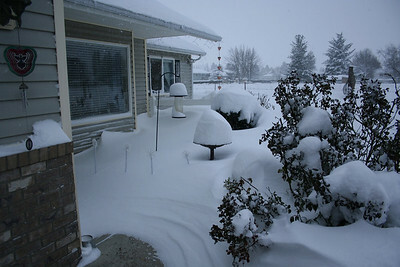 You can still see the birdbath in this pict. 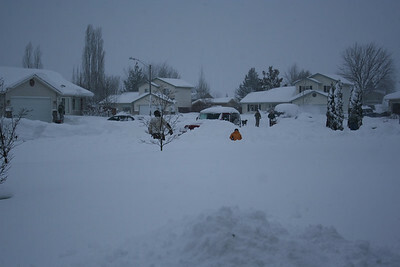 All the neighbors shoveling snow. 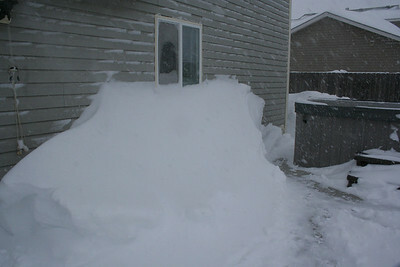 Our snow pile is over 5 feet tall. 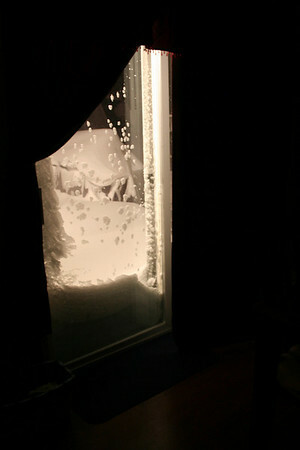 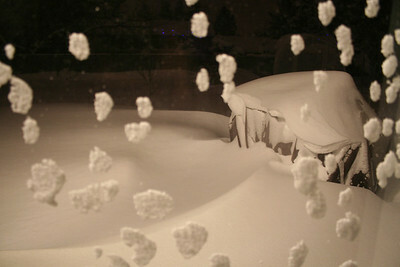 The snow drift started to cover our kitchen window. 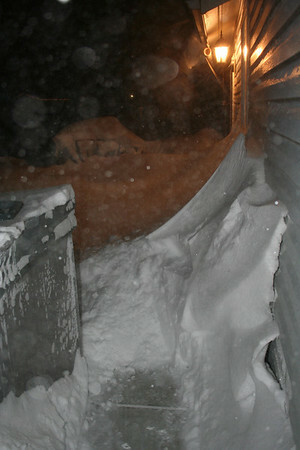 It was a 4 + foot snow drift. 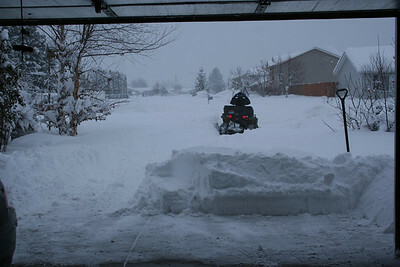 We had a second large storm on Sat. 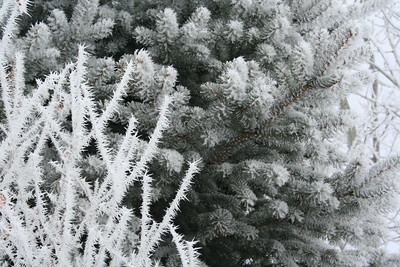 Dec 27th. 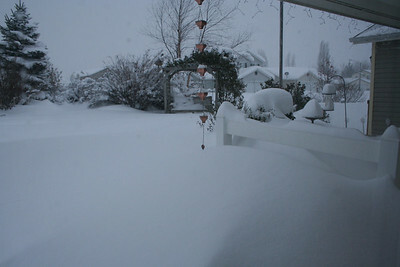 Which added even more snow. 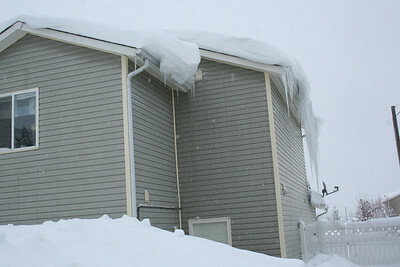 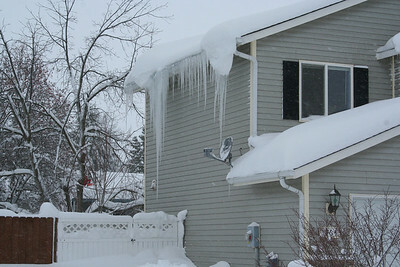 We also had large snow drifts off our roof. 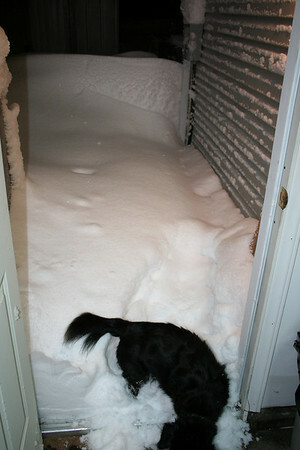 The snow was so deep Mitch could not get out either. 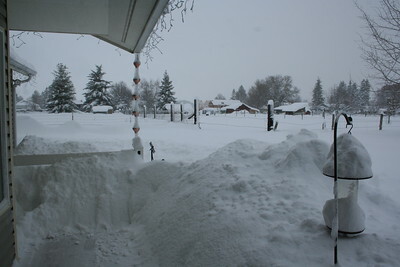 This was the view when we opend our grage door. 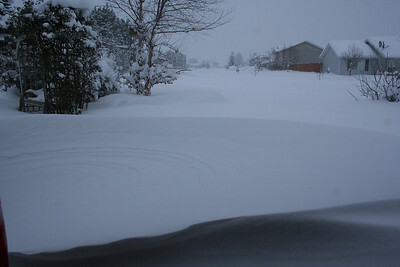 Big snow drifts. 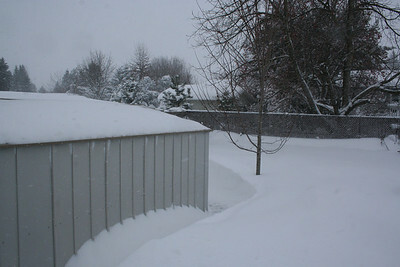 Our Maple tree lost its trunk in all that snow. 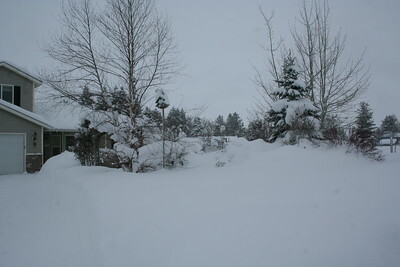 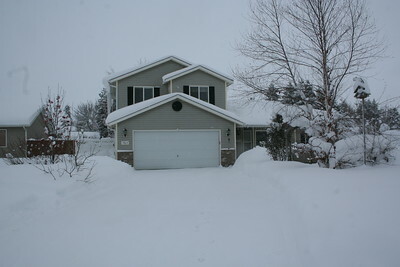 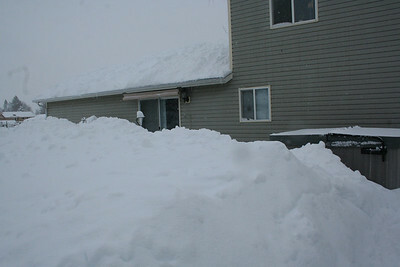 You almost cant's see our house because the snow is piled up so high. 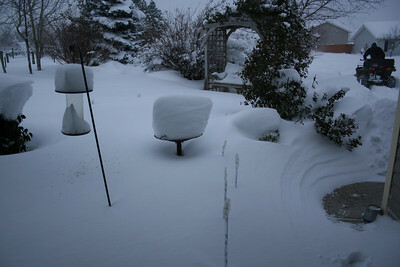 There used to be a birdbath out front. 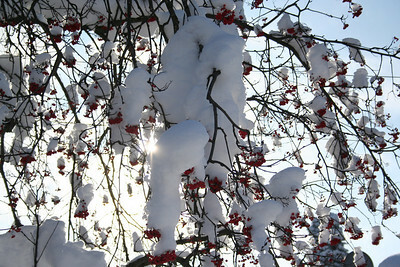 It is coverd by all the snow. 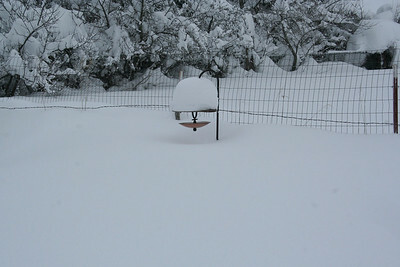 Where did the birdbath go? 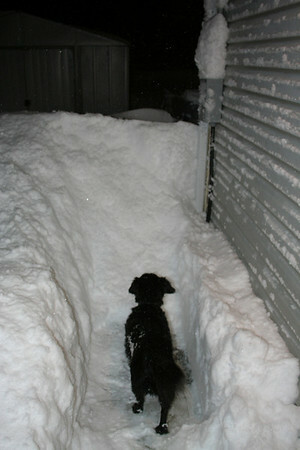 I started to shovel so Mitch could get out. 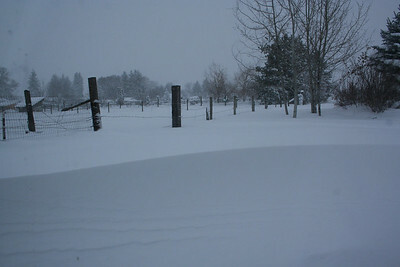 Our snowdirft in our front yard. 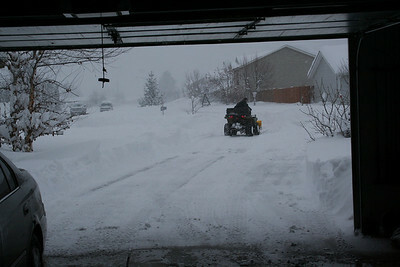 Pat started plowing all the snow. 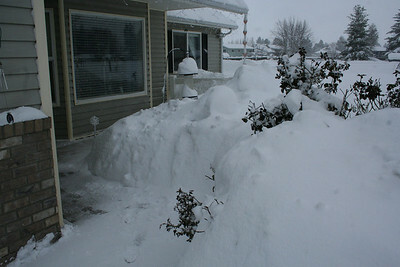 There was about a 3 plus foot snow drift over our driveway. 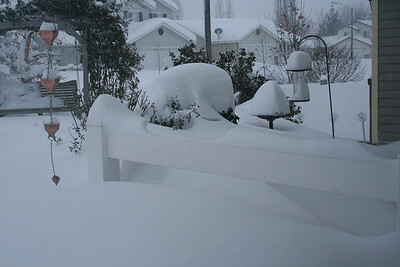 Mitch's dog house is totaly covered in snow. 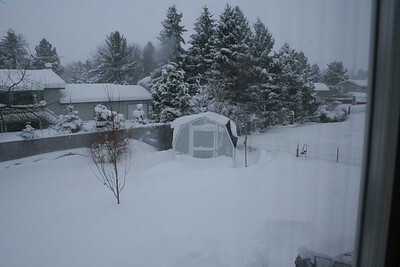 So is the B-B-Q. 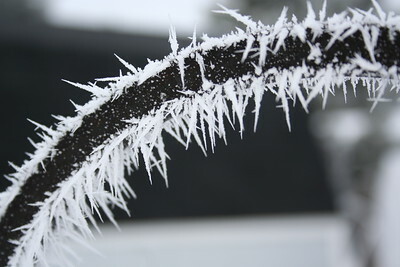 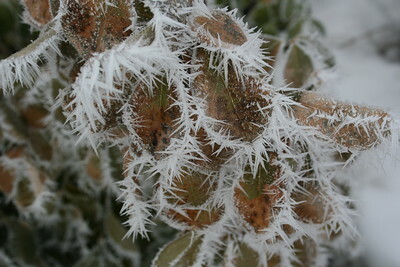 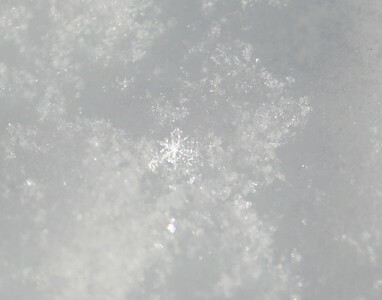 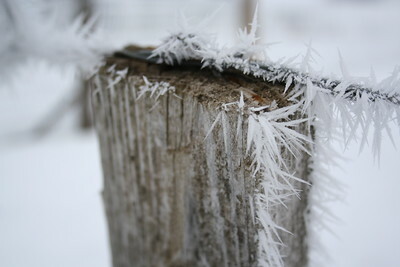 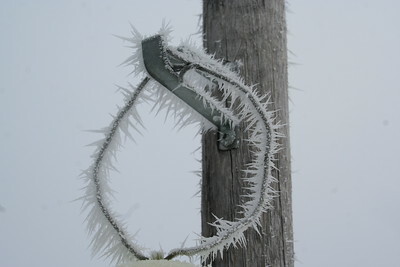 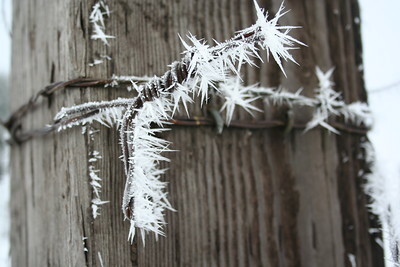 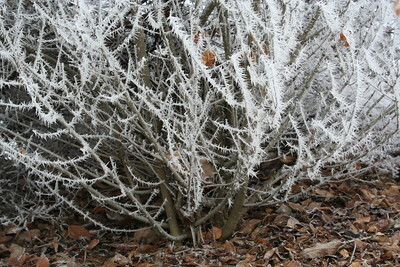 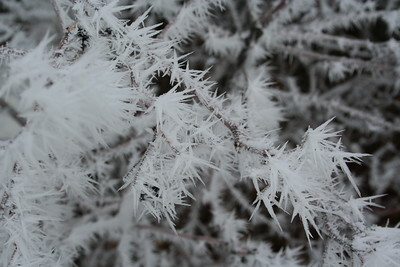 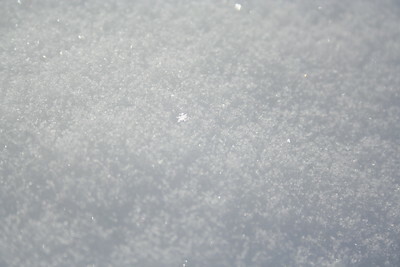 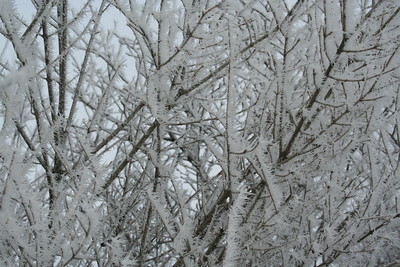 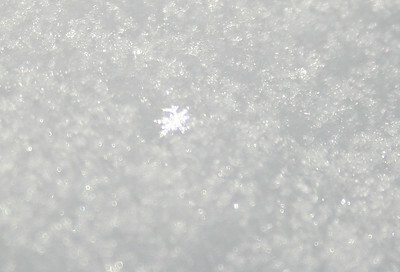 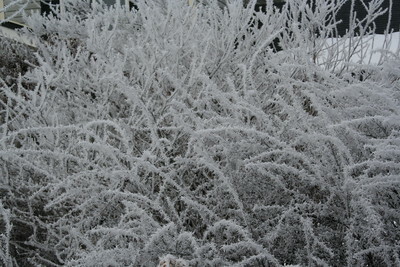 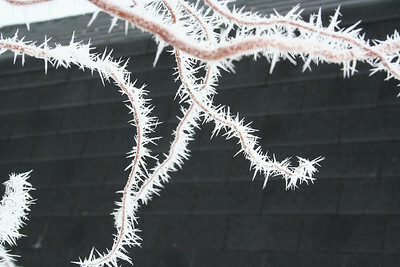 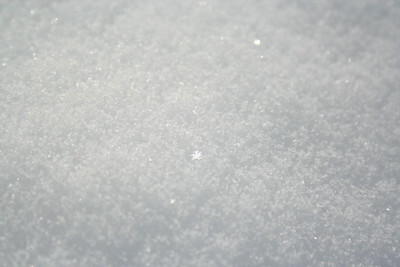 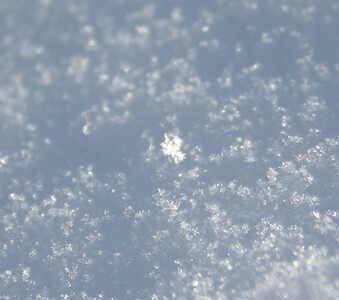 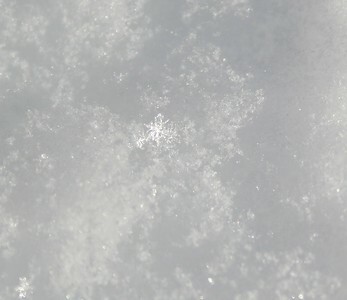 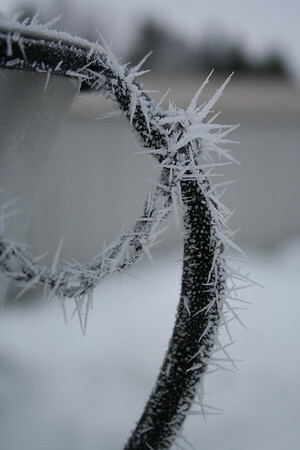 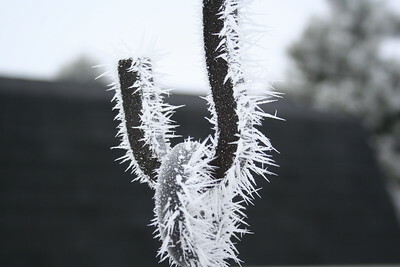 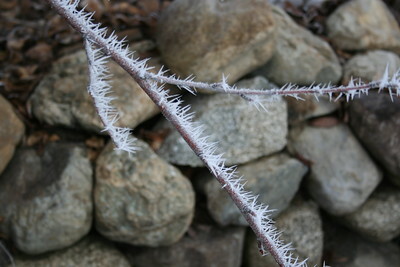 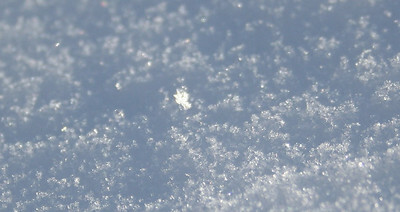 Here are some snowflakes I was able to take picturs of on Dec 20th when the sun came out. 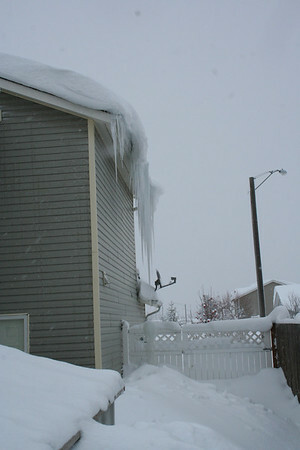 We have very large Icecicles. 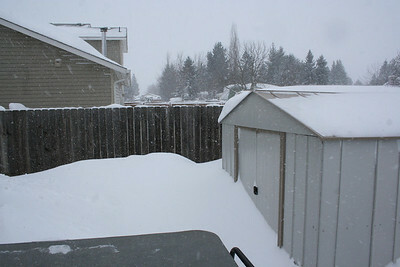 Dog house? 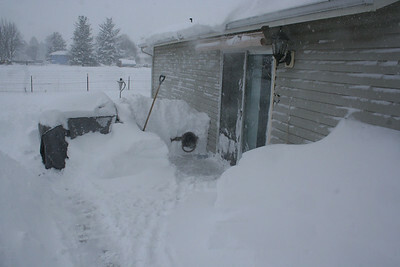 What dog house?